You’re not getting enough sleep, night after night, but you continue to push it, hoping it won’t do any harm. 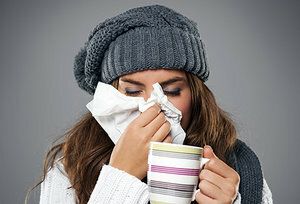 Then cold season hits, and you find yourself getting even less sleep because you come down with more colds than usual. It’s a vicious cycle you can’t seem to escape: lack of sleep, cold, lack of sleep, another cold. Is there a connection? Definitely, according to a recent study that suggests people who sleep less than six hours a night are more likely to catch the common cold than people who get more sleep nightly.